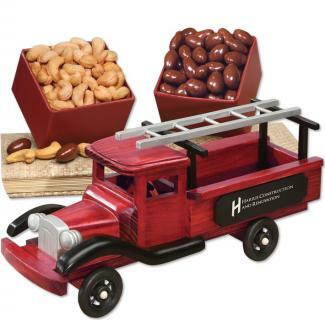 Promotional Items, Inc.™ invites you to select Maple Ridge Farms™ Replica Trucks. 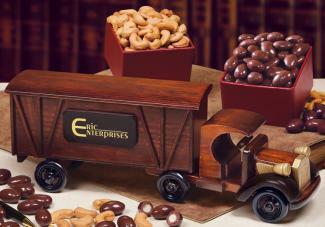 Vintage trucks logo printed with chocolate & nuts. Business gifts or truck related. 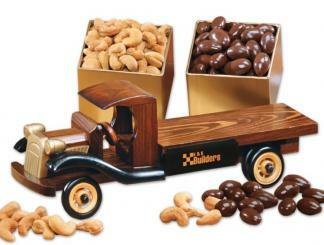 Maple Ridge Farms™ chocolate & nuts with 7 handcrafted trucks in related themes. 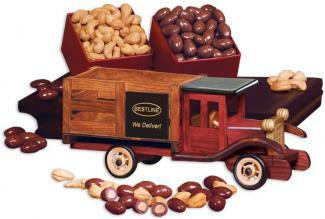 Replica trucks packaged with gourmet chocolate almonds & jumbo cashews. related holiday corporate gifts. Warehouse and service related promotion. including rolling wheels to show your great taste in appreciation. 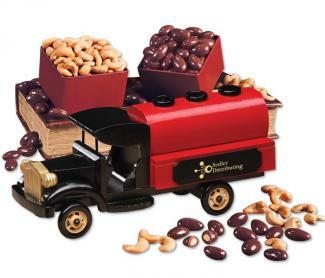 Cashews included in the price for Christmas or business gifts. 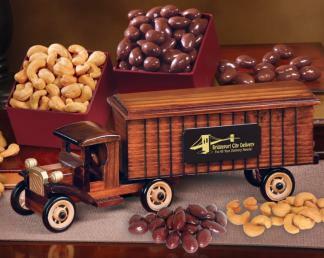 Maple Ridge Farms candy-nuts are Kosher certified quality. Browse below to buy Replica Trucks with your logo printed. 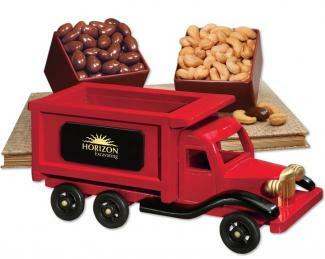 holiday business gifts, holiday gifts, trucking company gifts using printed replica trucks.